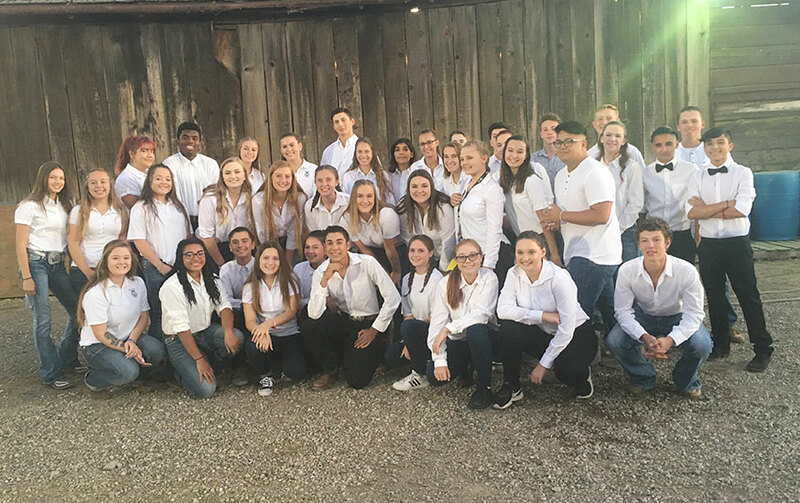 Being a part of Elk Grove FFA’s chapter is an experience that will stay with students for a lifetime. While being a part of a larger national organization, we coincide with FFA’s beliefs and values promoting premier leadership, personal growth and career success. We are working towards leading a successful chapter that has diversified student’s involvement and outreach for future years to come. We are also focused on building a strong foundation for our students to learn about the organization, grow in their abilities, and continue to be successful after graduation by making sure our members stay connected throughout their years in FFA. Our officer team decided that we wanted our theme this year to be, “Serve without Limits, Lead without Borders” because we wanted to inspire our members to always lead in every way and serve with the intention to help everyone. Elk Grove FFA is excited for what this year holds and this document has been prepared to keep all students and parents involved in what will be taking place this year. We look forward to working with you and your student and fostering their growth in FFA.